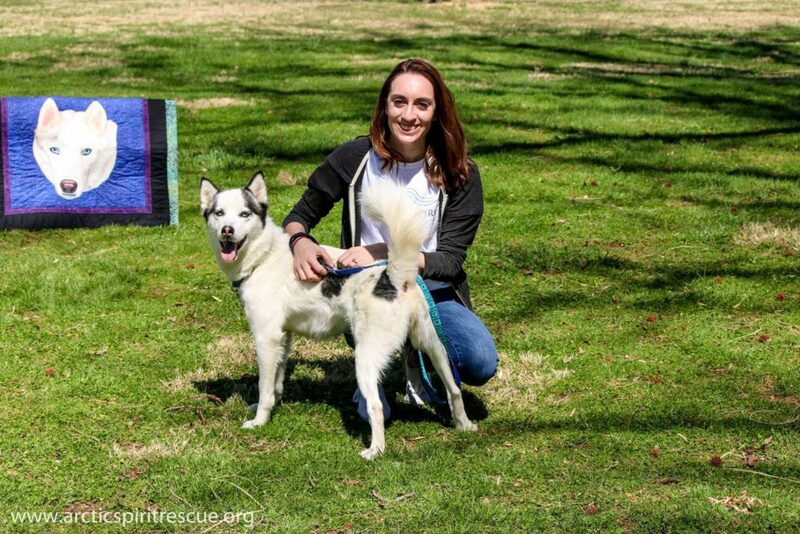 On Sunday, April 9th we hosted our first annual Iditarun 5K and Dog Walk. This was a huge endeavor considering we’re less than a year old! We knew early on that this would be our annual signature fundraising event and due to the incredible welcome we have received from the public and rescue communities we felt the time was right. It was hard work but the end result has us looking forward to the next one. The enthusiasm and support from those around us was impressive. 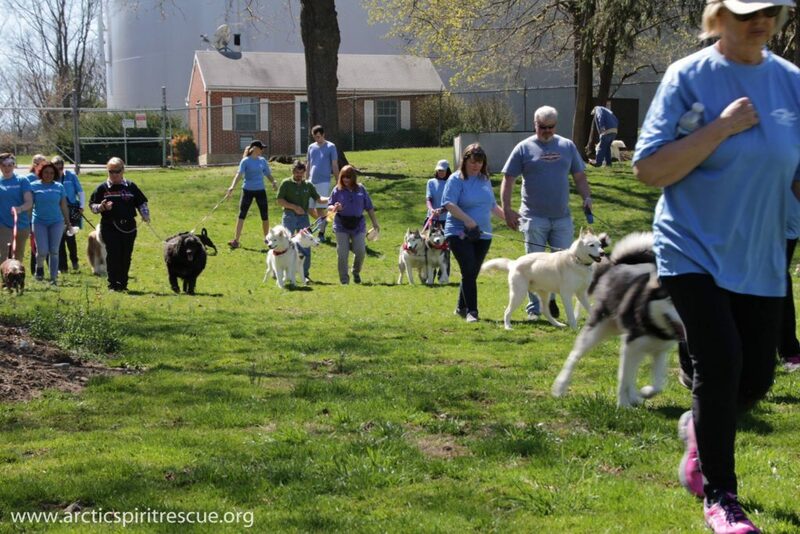 Mother Nature was on our side and provided a perfect sunny spring day for our event. 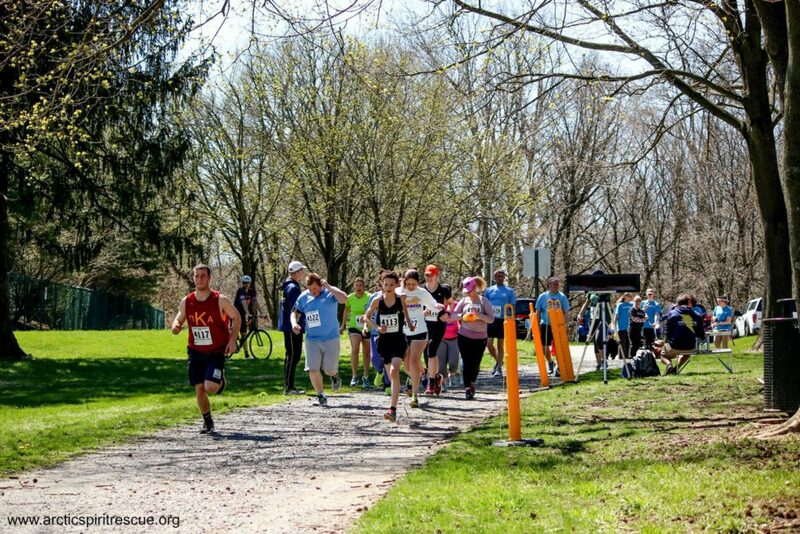 Oakbourne Park in West Chester, PA was in full bloom and offered running trails and lush green fields. The support from these successful community businesses is very much appreciated. There were many that volunteered their time to keep our event running smoothly. Among them was Delta Chi Fraternity from West Chester University, students from West Chester Henderson High School and West Chester Rustin High School. Thank you to the Chester County Running Store for providing the race event services, and Giant Food Stores for providing water and refreshments. We thank the walkers from Kohl’s who arrived with their canine companions to enjoy the day. 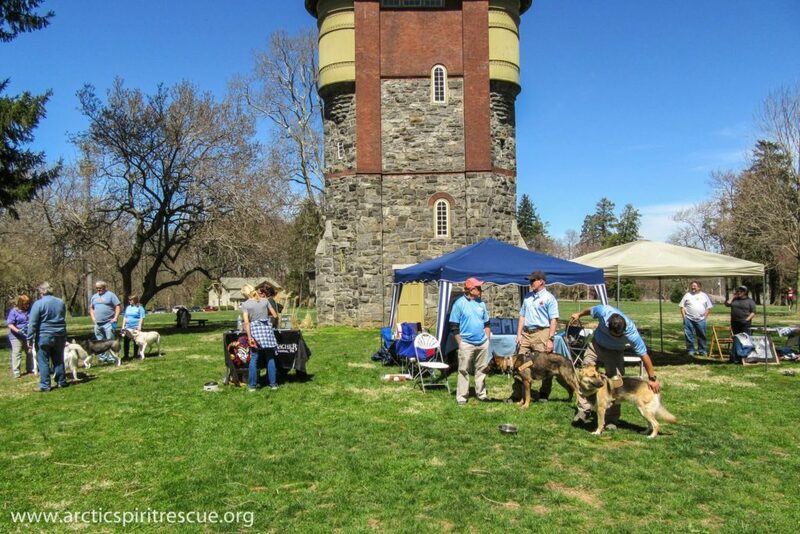 The Search And Rescue Dogs of PA brought their very handsome and well trained dogs by for everyone to admire and learn about. The vendors included DogGone Memories, Traveling Vineyard, and Weyerbacher Brewing. Head over to our Facebook page to see all of the wonderful images they were able to capture and share. We are enormously grateful to our volunteers who for the past several weeks helped us organize this event, and were also on hand to do whatever needed to be done. We couldn’t have done it without you! We thank the runners and the walkers, many of whom included their entire family. We love that and hope to see you all next year. Levante Brewing of West Chester generously offered to donate a portion of their sales proceeds for the day so the fun continued after the Iditarun when many of our guests and participants headed over for some celebrating. It was a wonderful day and we had fun reconnecting with old friends, making new friends, and looking forward to our future. Thank you to all who made it such a huge success. We’ll see you next year!